Did you know how Mark Zuckerberg supported Facebook in the early days, before he got venture funding? Casino ads. And how about those advertisers who were making over $100,000 a day selling Acai Berry and other weight loss products – they are friends of mine, pioneers of new advertising channels. You see those ads saying “Inbox (5). 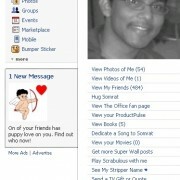 Nick, someone in San Francisco has a crush on you!” (with your name, profile picture, and city in the ad). I generated millions of dollars from these offers on Facebook – I am not proud of it, but it was very lucrative. I will walk you through how these online scams work on Facebook and other social networks – the mechanics of how the money is made, some of the people involved, and who is actually clicking on ads. If you’re reading this article, there is a good chance that you are not the type of person actually clicking on these spam ads, but are you curious as to who actually is? In June 2007, Facebook opened up their application developer platform so that anyone could build games on top of the social network. By having access to user data, game developers could instantly make engaging, viral games. Rate who is hottest among your friends, share quizzes, race cars, grow vegetables, and so forth – all with a click of a button. Users in one click gave the game permission to access their profile data and they didn’t think twice about it. Facebook hadn’t consider what was possible when the game developer passed on user name, profile picture, and personal details on to an advertiser – and the kind of deceptive ads that were possible. These ads looked like they were from Facebook- the blue button, white background, same font. And, of course, they had your profile picture, your name – plus that of your friends, in the ad. If you’re a 15 year old girl, would you know what’s being served by Facebook, the game developer, or the ad network? These same offers have been running for years on MySpace, using tactics such as fake Windows system messages and pop-ups. But the perfect storm being able to dynamically insert user data into an ad, disguising the ad to seem like part of the application, lack of enforcement by the social networks, and billing the parents’ cell phone – well, it’s no secret what happens next. By early 2008, the platform was generating 400 million impressions a day, as people poked, bit, slapped, kissed, and drop-kicked each other to the glee of a college-age crowd of game developers. These developers weren’t professional corporations – they are college kids who build a game for fun over the weekend and now discovered they could make over $10,000 a day in ad revenue. Yes, we wrote some big checks. The numbers today are much higher. Given the choice of making money versus being ethical, these kids chose money in nearly every instance. When the Facebook platform first launched, developers used Google AdSense, which was paying 10-15 cent eCPMs, meaning that developers were earning 10 to 15 cents for every 1,000 ads they shown. But soon, ad networks, such as the one I operated, stepped in to show that by using social data and some clever ad copy, we could raise this to well over $6—that’s 60 times better than AdSense. AdSense was getting a 0.1% CTR and earning 15 cents a click. Our ads were getting up to a 4% CTR and also earning 15 cents a click. You do the math. Believe me, I tried to do honest optimization—running legitimate flower ads on Valentines Day, Walmart ads on Cyber Monday, auto insurance offers on car racing games, and so forth. For months, I went through over 150 offers across a dozen networks, systematically testing offers, ad copy, targeting, creative templates, and so forth. I couldn’t get a single one to work. And in a previous life I worked on Yahoo!’s internal analytics team—our job was to optimize traffic. Download a toolbar: It could be spyware (such as Zango) or something more legitimate, such as Webfetti or Zwinkys. Give up their email address: You’ve won a “free” camera or perhaps you’ve been selected as a tester for a new Macbook Pro (which you get to keep at the end of the test). Just tell us where you want us to ship it. 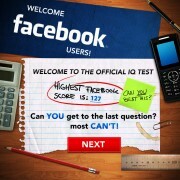 Give up their phone number: You took the IQ Quiz, so give us your phone number and we’ll tell you your score. Never mind that you’ll get billed $20 a month or perhaps be tricked into inviting 10 other friends to beat your score. Method #3, getting their phone number, has been the most lucrative thing on Facebook, even more than the fake weight loss offers, for the last 2 years. As an ad network, we were at the mercy of what the game developers want—more money. Here’s what ad networks struggle with—to either run what ads make the most money or else be forced out by other ad networks willing to be shadier than them. Publishers (game developers) chose whoever makes them the most money. Showing personal data on landing pages: This got a couple ad networks banned—they took the user name and images and put them on landing pages, which increased conversion. This is the equivalent of steroids in Major League Baseball. Cloaking: This is when you show a different page based on IP address. We and most other ad networks would geo-block northern California—showing different ads to Facebook employees than to other users around the world. One of the largest Facebook advertisers (I’m not going to out you, but you know who you are) employs this technique to this day, using a white-listed account. Our supposition is that it makes too much money for Facebook to stop him. Believe me, we have brought this to Facebook’s attention on several occasions. Here’s what this fellow does—he submits tame ads for approval, and once approved, redirects the url to the spammy page. To be fair, players like Google AdWords have had years more experience in this game to close such loopholes. Sharks who smelled blood: I was contacted by every major ad network to either run their offer and/or help them optimize their ad platform. One CEO (not saying his name, but they’re on Comscore’s list of the top 25 ad networks) threatened physical violence if we didn’t cooperate with him. I got wined and dined like you wouldn’t believe. That’s how much money was at stake—whether on the game inventory or the self-serve ad platform. Weak enforcement: Paul Jeffries, who enforced (or didn’t enforce, depending on your view) the platform rules, wanted to allow a laissez-faire economy, stepping in only when the violations were so egregious that his call center was getting flooded with complaints. He called me into a meeting and told me that my ads were costing him more in customer service than any revenue I was possibly generating. That pre-supposed that he knew what we were generating – in the high 5 figures a day. And most of that was profit, since we paid out only a fraction of what we earned. Remember that we had to beat only what Google AdSense generated. There was no way that Facebook—and definitely not the Federal Trade Commission—could keep up with the “innovation” happening. Witness the virtual currency scam, where users complete the offers mentioned above to earn points in a game. It doesn’t take a genius to know that the quality of such leads is garbage—these users are filling out forms just to get the points. They sign up for Netflix, a platinum credit card, get an auto insurance quote, whatever. The industry term for this type of traffic is called “incentivized”. The underlying advertiser is paying for these leads much like they would if they were coming from paid search. They may be told they’re getting incent traffic—or maybe not. Or maybe the ad network, the middleman between the advertiser (company paying for traffic) and publisher (source of traffic) is mixing PPC, email, and incent (also called social) traffic to hit certain quality thresholds. Either way, the advertiser is usually blind—they can’t see the referral data (which is understandably masked) and they probably can’t figure out what’s going on anyway. The three major ad networks that deal in incentivized (or virtual currency) are OfferPal, SuperRewards, and Q Interactive. OfferPal is run by Anu Shukla—she and I have sat down before, where she flatly claimed that most of her offer inventory was unique (it was actually brokered from MemoLink, a company down the street from us in Denver). Ms. Shukla also touted her optimization technology, but couldn’t discuss it because of the proprietary nature—I’m sure you understand. You can watch her video with Arrington to judge for yourself. SuperRewards is run by Jason Bailey (aka ChickenHole), who was able to quickly morph himself from Millnic Media to this new company. This fellow would call me up and yell at the top of his lungs, as I wouldn’t refund his money for setting up multiple accounts to game our network. I did refund his money, only once he agreed to a ban on our network. Q Interactive is the quietest, but largest player of the group. Formerly coolsavings.com, it’s run by Matt Wise, and is, in my opinion, the most reputable of the bunch. They have Fortune 500 clients and a more massive bankroll and sophisticated technology platform. You won’t find information on their virtual currency platform, as they work with large publishers only. The offers across all of these networks are similar. There is a lot of money to be made if you’re a game developer on the MySpace or Facebook platforms, so choose your ad networks wisely. Ad Networks are not going away soon, as the big brands aren’t there yet and someone must fill that vacuum. When any new platform opens up, the spammers are there first: Traffic is cheap and their untargeted offers are profitable. But as legitimate advertisers come on, they bid the price of traffic up and squeeze out the spammers. The most powerful bit of social advertising, unlike traditional PPC, is the ability to target by interest and by location. And local represents 74% of Facebook’s ad revenues in 2009. That’s a deceptive stat, as it likely includes dating, which is technically “local” – but the point still stands. Deceptive ads will be gradually replaced by trusted ads: The underlying premise of all the advertising techniques we’ve discussed so far is that trickery is profitable. Fool them into thinking the new friend request is from Facebook, lie to them that the miracle skin crème is actually free, tell them they’ll earn points if they just click this button – which then puts their email address on a list that’s resold to the top spammers in the world. Incidentally, if you hate someone, sign them up for one of those free offers – it will burn their email to a crisp. Just kidding – don’t do that. Imagine getting an ad on your birthday, saying “Happy Birthday, Nick! Mention FBCAKE and get a free slice of cake today at Jim’s Coffee Shop” (yes, you can target people on their birthdays). What if you’re a B2B company and want to hit small businesses? You can target by job title and company. That’s not possible in traditional PPC, where a search for “massage” can be a consumer with stiff muscles, a student looking for a massage school, or a practitioner looking to buy massage supplies. What if you’re Maggianos and want to target folks who like Olive Garden? You can hit precisely those fans—and even narrow down to where they live, how old they are, and if they are married. Then send them to the nearest location to book their wedding anniversary party. Are you a Denver liposuction doctor and want to target middle-aged females in upperclass neighborhoods who watch “Desperate Housewives” and like to eat chocolate? What if Farmville could be sponsored by Albertsons and offer real fruits and vegetables on sale? Wouldn’t that be more powerful than clipping coupons from the daily newspaper? It’s going to take a few years, but these legitimate advertisers will push out the scammers and Facebook will put more rules in place. Enforcement will tighten, but spammers are clever with shifting their entities, enough to make us all “dizzy”. We said that when these platforms first launched, earnings were in the 10 to 15 cent range. Then spammers raised the bar and could afford to pay $6 per thousand impressions (or about 20 cents a click) for the same inventory. But when the legitimate guys come with the hyper-targeted local ads, they can afford to pay $10 or even $50 per thousand impressions for that inventory. The spammers will be forced out of this particular game and onto whatever is next.